SEATTLE, Oct. 26, 2011 / — This year marks the 75th anniversary of the introduction of the original 1936 Skyliner Model Jacket, the cornerstone of the Eddie Bauer outerwear legacy. To commemorate the occasion, Eddie Bauer has re-launched the 1936 Skyliner Model design in updated fabric choices for men and women. “We intend to continue our legacy for decades to come, creating the most innovative down apparel on the market, just like Eddie himself would have done,” commented Damien Huang, SVP of Outerwear at Eddie Bauer. In the 1950s and 1960s, Eddie Bauer became THE American expedition outfitter during the Golden Age of Himalayan mountaineering, providing down apparel and gear for many of the historic American expeditions, including twelve epic first ascents from the 1950s – 1960s. The new Fall 2011 down offering, which is one of the largest in the company’s history features the new MicroTherm™ family, which includes the MicroTherm Down Shirt, the Bombshelter Jacket and the newest evolution of expedition down apparel, the BC MicroTherm Jacket. Made from ultra-lighweight 800 fill goose down, paired with a waterproof/breathable outer shell, the 19.9oz BC MicroTherm is possibly the lightest waterproof down jacket on earth. 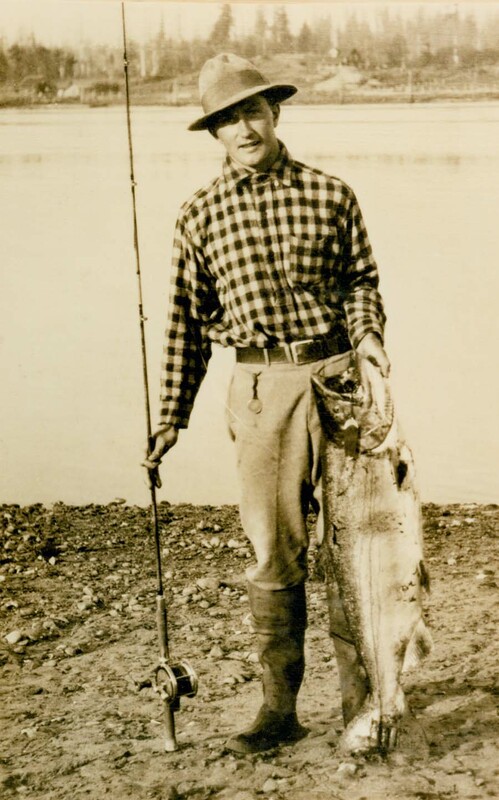 It all began 75 years ago, when in 1936, on a winter fishing trip to the Olympic Peninsula, Eddie Bauer nearly died from hypothermia. After an afternoon on the river, Eddie and his partner, Red, trekked a mile back to their car. Eddie was in charge of carrying the 100 pounds of fish. By the time he reached the top of the canyon wall, Eddie was hypothermic, his wool shirt a sheet of ice. After firing three distress shots into the air, Eddie was rescued by Red, who got him home safely. The experience inspired Eddie to design a jacket that would not only keep an outdoorsman warm, but would be light enough to wear when hiking. He chose goose down for its warmth and breathability and ultimately patented his diamond quilting system to keep the feathers evenly distributed. His first garment – the first down jacket patented in America in 1940 -became known as the “Skyliner”. “This wasn’t just a jacket, it was a revolution, and launched an entire industry of down apparel,” said Damien Huang. The entire down offering, including the reinvented 1936 Skyliner Model Jacket and the new BC MicroTherm, are available on EddieBauer.com now. For more information on the company history, click here to view the Eddie Bauer Heritage Timeline.